Claremont Service is a family-owned auto repair shop in Claremont that has been fixing customers' vehicles since 2000. Owners Dave and Romell Matejcek strive to serve customers with honesty, expertise, and unequaled work ethics. Claremont Service Center welcomes you to our website. We have been servicing vehicles for our customers in Claremont and the surrounding Dodge County area since 2000. Family-owned and operated, our team of technicians are automotive specialists striving to serve our customers in Claremont with honesty, expertise, and unequaled work ethics. These are the qualities that make ours the best auto repair shop in Claremont. From day one, our goal has been to build our company on a foundation of truth and honesty. We know that it is only the result of our customers that we have grown to the position we are at today, Claremont most trusted automotive service facility. When one finds an experienced technician that be can be trusted, that individual becomes an asset to a vehicle's overall performance. Additionally, having a great mechanic like those employed at Claremont Service Center will assist in preventing costly breakdowns and repairs. At Claremont Service Center, we develop routine maintenance plans for our customers' vehicles, plans that adhere to manufacturer's recommended service schedules and individual driving habits. Conveniently located at 111 West Front Street, Claremont Service Center is a full-service automotive service center that performs factory scheduled maintenance on vehicles, oil changes, wheel alignments, tire rotations, brake inspections, suspension repair, car batteries, and even completely rebuilt transmissions. With decades of cumulative automotive service experience, Claremont Service Center is proud to be the ideal alternative to having a car repaired at a local dealership on Claremont. We stand behind our work with a warranty that is honored across the entire United States should there ever be a problem with a vehicle after being serviced at our repair shop. Claremont Service Center invites you to take advantage of our easy 24/7 online scheduling! Simply complete and submit the appointment form to schedule your repair. Claremont Service Center offers our customers in the Claremont area nationwide protection. Our warranties are among the best in the automotive repair industry. Claremont Service Center is always interested in hearing from qualified individuals seeking employment at our Claremont automotive repair shop. If you are interested in joining the Claremont Service Center team we want to hear from you. Claremont Service Center understands how important it is to find a quality automotive repair shop in the Claremont area. This is why we value the associations we have with the reputable organizations listed below. These associations help our auto repair shop in Claremont to give you the confidence in knowing that your automotive repair and service needs will be met by our qualified automotive repair and service expert technicians. Claremont Service Center is proud to be an AAA Approved Auto Repair shop serving the greater Claremont area with a complete range of automotive repair services by a certified and professionally trained team of technicians. Claremont Service Center understands that the thought of having a vehicle repaired can be quite stressful for many people. As an AAA Approved auto repair shop, Claremont Service Center is glad that being an AAA Approved Auto Repair shop we are able to help alleviate the stress many people feel by being one of over 7,700 auto repair shops across North America that provide our customers in the greater Claremont area with a 12 month or 12,000 mile guarantee on all of the work done at our shop! Claremont Service Center maintains AAA's tough performance standards while providing each of our customers with the professional and courteous service they both expect and deserve. As an AAA Approved Auto Repair shop serving the greater Claremont area, Claremont Service Center is required to hire and employ trained automotive repair specialists that have earned certification by ASE, the National Institute for Automotive Service Excellence. Also as an AAA Approved Auto Repair shop, Claremont Service Center is also required to use state-of-the art tools and equipment when doing repairs, as well as adhere to the AAA customer service satisfaction criteria. Claremont Service Center is an automotive repair facility providing the greater Claremont area with high quality auto repair services from a team of specialists, some of which are ASE Certified technicians. The team members on the Claremont Service Center staff that are ASE Certified are part of one of the largest non-profit organizations in the world. Currently over 350,000 thousand fellow automotive repair professionals like those working at Claremont Service Center are ASE Certified. Claremont Service Center understands that for today's consumer, automotive repair is more complex than it has ever been. And as vehicles become increasingly more complicated, so too does the technology and diagnostic tools to repair them. This is why we are ASE Certified, because we know how important it is for people in and around the greater Claremont area to locate knowledgeable and competent automotive professionals. 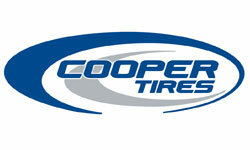 Claremont is proud to be a certified Cooper tire dealer. We offer a complete range of tires for both cars and trucks at competitive prices. Claremont Service Center is a member of the iATN, or Automotive Technicians' Network. The iATN has been helping automotive repair specialists like those employed by Claremont Service Center since 1995. To be a member of the iATN our business was required to have ASE Certification and at least four years of automotive repair experience. Our membership in the iATN includes a variety of resources, to include getting technical assistance when needed using the iATN TechHelp membership feature benefit. The TechHelp venue connects thousands of skilled automotive technicians from around the world for the purpose of keeping shops like Claremont Service Center stay on top of the latest trends in automotive repair and service. As iATN members Claremont Service Center also has access to the iATN Knowledge Base which provides real-world information from professionally trained technicians. Toyo Tires has stood for innovation, quality, performance, and excellent service for 65 years, including nearly 45 years in the United states. Combined, the Toyo group of companies has development, manufacturing, testing, distribution, and marketing operations throughout the Americas, Europe, Asia, the Middle East, and Oceania. As a result, Toyo Tires has built a solid reputation around the world. And who knows tires better than the very people who sell them every day? In the United states, Toyo Tires has been named #1 Overall Brand again and again and again by North American tire dealers in Tire Review magazine’s Annual Tire Brand Study*. In fact, our consumer tires have been voted #1 Overall Brand by North American tire dealers an unprecedented seven times since 2000. Since 2002, our medium truck tires have received the honor six times. Claremont Service Center is proud to be a JASPER Engines & Transmissions installer. Our partnership with JASPER helps achieve our shop's goal of instilling confidence to those in the greater Claremont area that rely on Claremont Service Center for their automotive service and repair needs. We let our customers know that any JASPER remanufactured product - including transmissions, differentials, and engines comply to strict remanufacturing guidelines and are installed with a Nationwide Warranty (Download Warranty) to back them up! As a NAPA AutoCare center serving the greater Claremont area, the team of automotive repair professionals at Claremont Service Center know the key to keeping your car or truck running smoothly on the roads is regular maintenance. Our team also knows that people in our community should not be required to forgo trust and the peace of mind when locating a great and affordable automotive repair shop like here at Claremont Service Center. Our decision to be a Napa AutoCare Center is built around our commitment to providing our customers service that is based on integrity, our qualifications, and our expertise when it comes to repairing cars and trucks, both foreign and domestic. It does not matter if you need routine maintenance or a major repair, each and every time you bring your vehicle to Claremont Service Center for a repair or service we have you covered. Our team of ASE Certified technicians often use the best NAPA auto parts when providing an exceptional levels of service. This is how Claremont Service Center ensures you get the most excpetional service each and every time. Our designation as an NAPA AutoCare Center also enables us to give our customers a 12 month, 12,000 mile Nationwide Peace of Mind Warranty. Claremont Service Center is a member and takes full advantage of our transmission shop's affiliation with TRNW, the Transmission Rebuilders' Network. TRNW is provides our team of transmission repair specialists access to worldwide community of transmission rebuilders, technicians, and other transmission repair shops like Claremont Service Center that meet to discuss various considerations to operating a transmission repair shop like ours serving the greater Claremont Service Center area. 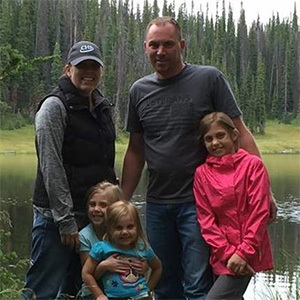 Our team of specialists communicate with other TRNW members on topics ranging from tips on rebuilding, diagnostic assistance, transmission troubleshooting, locating parts for transmission repairs, and the complexities of operating a full-service transmission shop. Our membership in TRNW is like having hundreds of transmission rebuilders in our shop that are eager and ready to solve your transmission problems. No transmission repair is too difficult for Claremont Service Center! As a TRNW member our shop staff will occasionally have the chance to gather with other industry experts in an effort to assist in solving some of the most complicated problems for today's complex, fully electronic, automatic transmissions.